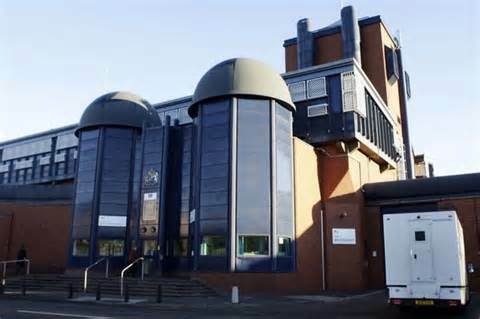 A squad of specialist prison riot cops were sent into Birmingham prison after a stand-off between prisoners and screws. The scum multi-national G4S, which operates HM Prison Birmingham, confirmed the incident happened on Friday night but denied that it was linked to the “unexplained” death of a prisoner in a different wing earlier in the day. Cops were called to the prison at 1pm on Friday after a prisoner was found dead in his cell on L wing. Sources inside the prison had claimed that a number of prisoners had been involved in a protest later in the day on B wing. But scum G4S probably lying through their teeth claimed that only one person had climbed on to safety netting and added that it was not connected to the earlier death. It confirmed that specialist prison riot cops – known as a tornado squad – had been deployed to deal with the single prisoner on the netting. It said that the stand-off ended when the prisoner came down just after midnight. This entry was posted in Prison and tagged 'unexplained' prisoner death, Birmingham, Birmingham Prison, FIRE TO THE PRISONS!, G4S, riot cops, roof top protest, stand-off, Tornado squad. Bookmark the permalink.